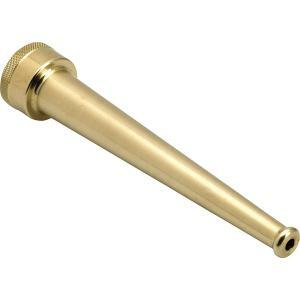 Underhill has created the PowerBlast sweeper nozzles from heavy duty solid machined brass for durability and long life. The low flow design, 7 GPM at 80 PSI, saves water while providing a powerful jet stream ideal for cleaning driveways and walkways with minimal water usage. Also great for washing down your power equipment.